Transistor is used to drive relay to connect AC loads. For efficient working, it is important to connect the relay correctly in NPN and PNP transistors. See the way of connection. 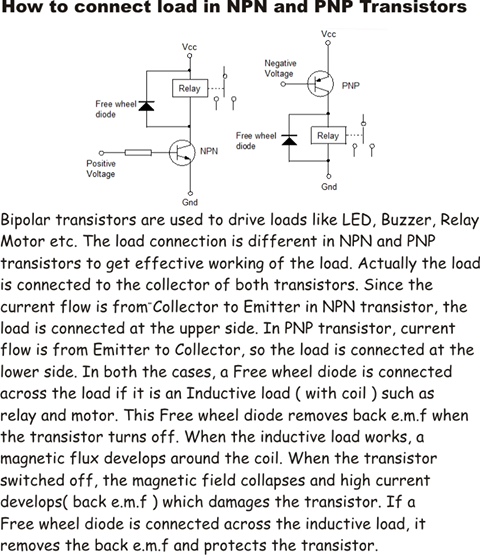 Categories Articles, Circuit, Components, Design, Electronics, Electronics Theory, How components work, Power Supply, Techniques, Utility Gadgets•Tags back emf, npn, PNP, Relay connection. Free wheel diode.